Palm trees in the right location gives any exterior scape a feel of a tropical paradise. Welcome to the world of relaxation and serenity. 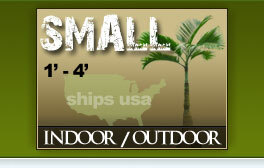 We provide the most rare and exotic palm trees available from all over the globe delivered right to your doorstep. Be your own landscaper and designer with some of the most gorgeous palm trees available. 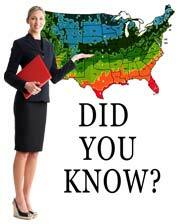 Let us help you with briingg a peace of unspoiled nature to your home or business. Real palm trees in the right lighting gives life to any indoor environment. Beautify the interior of your home with our fine selection of real palm trees. Our fine selection of palm trees can be an eco-artisans dream come true; our selection of palm trees will make an exotic statement indoors all year round. 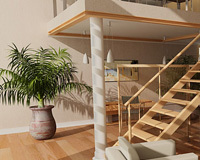 Displaying a real palm tree, over an artificial one will make the difference on your next interior design project. 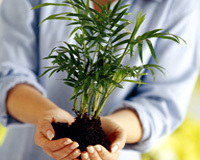 All palm trees are organically grown with tender care. 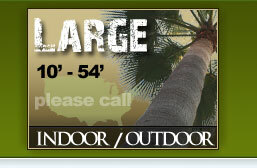 Real Palm Trees, is an exclusive palm tree broker; we provide only the finest selection of palm trees. Real Palm Trees, is more than just a name, it's a commitment to providing our customers with the finest selections of real palm trees. When you buy from Real Palm Trees, you can expect the very best quality. Our customers include; homeowners, landscaping companies, nurseries and resellers, architects, interior designers, commercial and residential developments, hotels, condominiums, office buildings, business parks, golf courses, and enviromental companies. 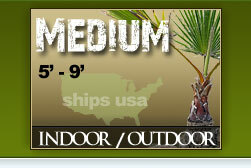 Buy from Real Palm Trees, and recieve a palm tree from the best selection available. Palm trees are manicured regularly. At Real Palm Trees, we sell only Grade A, Palm Trees. 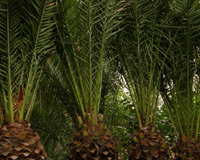 Our top selling palms include the King Sago Palm and the Phoenix specimens which include the Canary Island Date Palm Tree, The Pygmy Date Palm Tree, and the Sylvester Date Palm Tree. If you are deciding to purchase an artificial palm tree, instead of real palm trees, please take a look at our selection. You can now have a real palm tree shipped to almost any where in the world. It's free to join our palm tree community. With real palm trees, now being offered in our online store, there is no reason why you can not own a real palm tree instead of an artificial palm tree. Many artificial palm tree suppliers would lead you to believe that real palm trees are high maintenance, when in fact approximately 90% of all real palm trees, are low maintenance. And most real palm trees can live indoors, which is another common misconception. Real palm trees, are also more aesthetically pleasing to the eye, being that they are the real thing. Whereas, artificial palm trees most of the time don't resemble real life features which are typically found in real palm trees. A primary example of these features are flowers and fruits. At Reals Nursery, we wish for every person in the world to have a piece of unspoiled nature in their home, whether they purchase from us or from any other reputable nursery. We want the world to be greener, and by supplying trees, whether real palm trees or real plants in general we feel we are making a difference in the world. Spread the news... About Real Palm Trees!